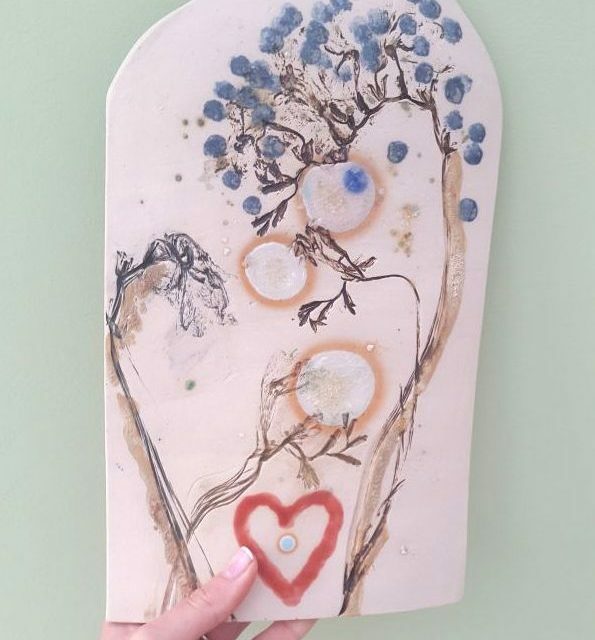 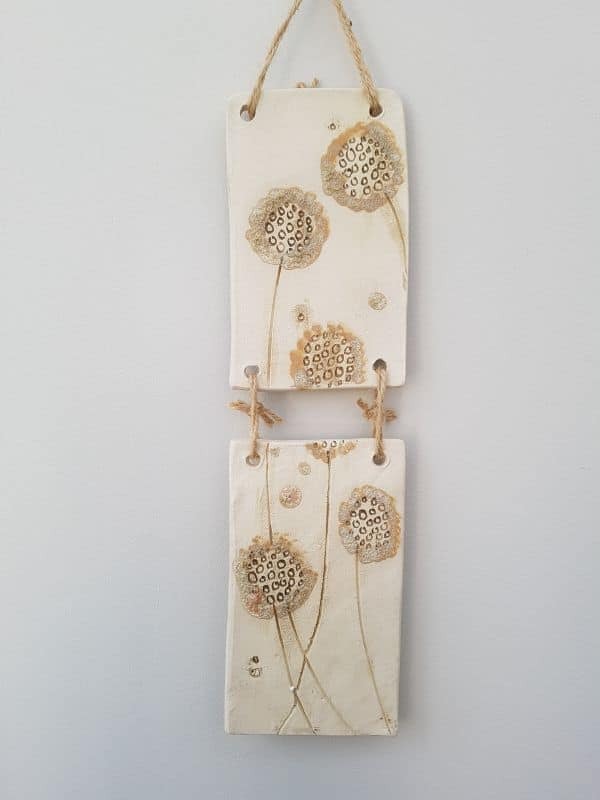 Handmade in my studio, this ceramic wall hanging measures approx 35cm x 10cm. 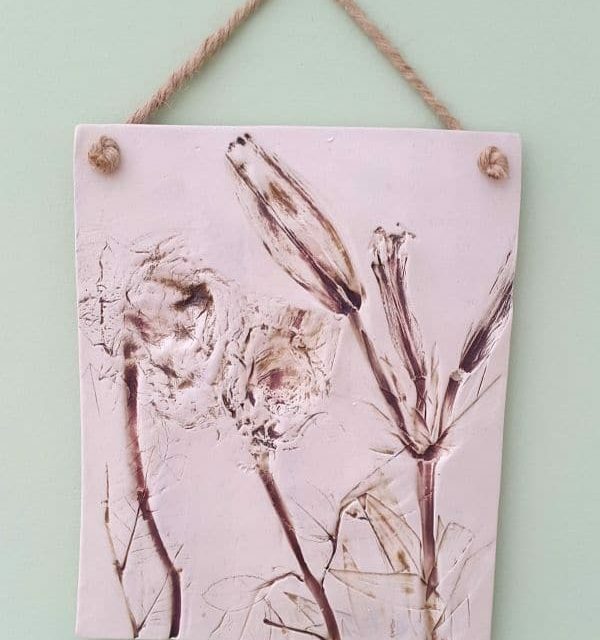 A natural dandelion design features on the surface of two tiles, made up of small circular marks and finished with a textured glaze around the edge. 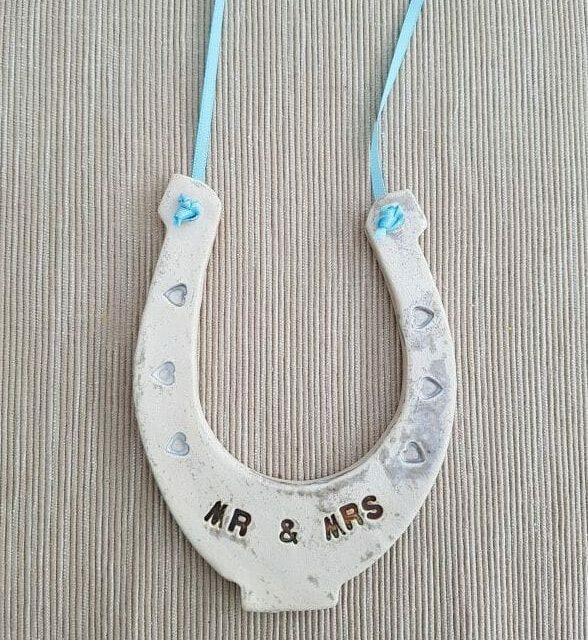 This is a unique, one-off piece.